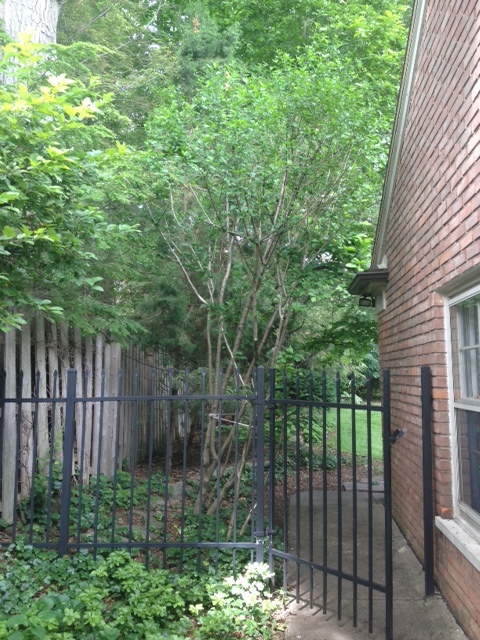 As I mentioned in my May List, when we moved in, we didn’t really know what kinds of plants we had because all but one of the flowering trees and plants were done blooming. 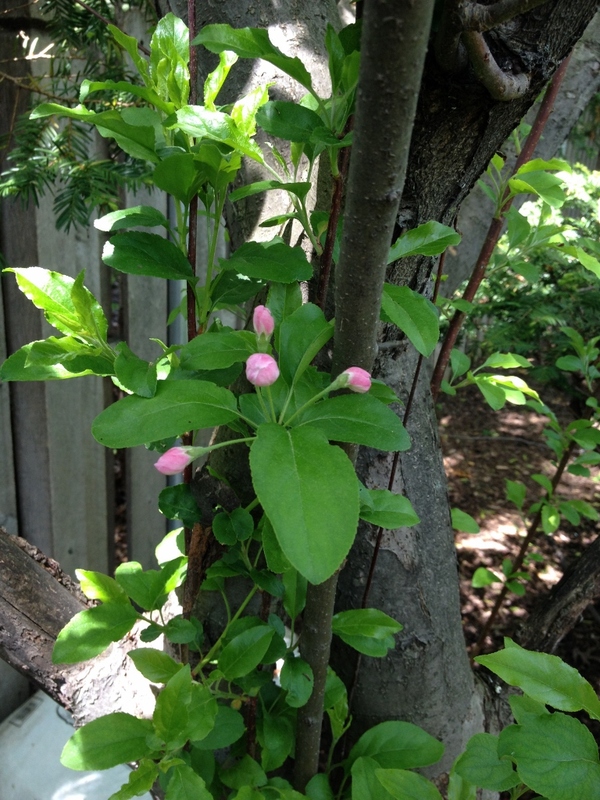 We had an exciting Spring, watching all our plants awaken (among my favorites were our magnolia and lilac trees). But now we have to take care of them all and oh my gosh. 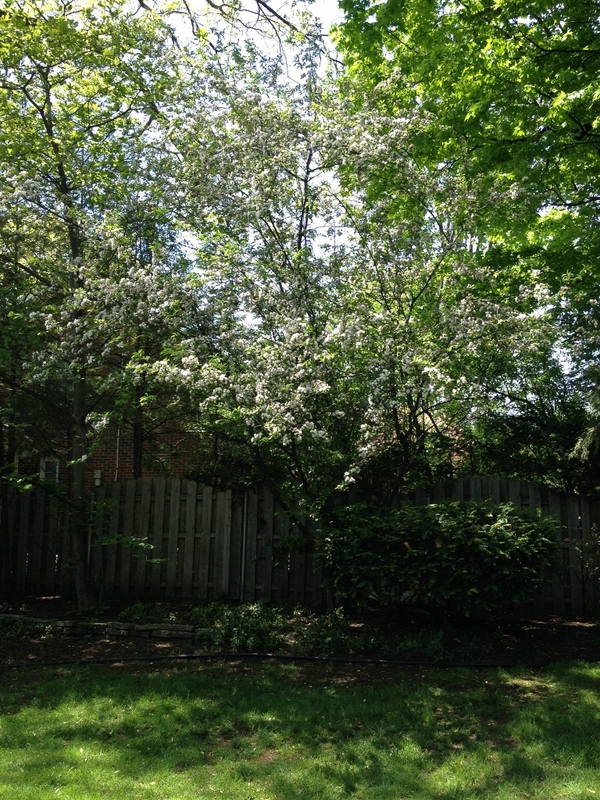 Our flowering pear tree made it through winter (last summer, a huge chunk of it came down in a storm). 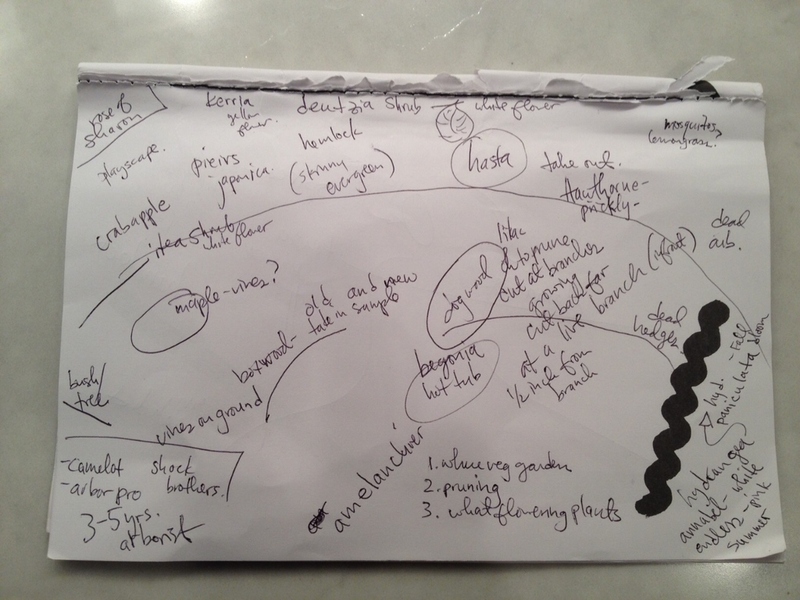 The post I wrote about our first big gardening day was written just before our wedding anniversary. Coincidentally, both of our moms got us plant-related gifts: my mom bought us a serviceberry tree to cover our utility lines and my husband’s mom got us a one-hour consultation with her friend and expert local gardener (and North Carolina native) Mil Hurley. Leafy hastas, day lilies and a bunch of dead holly bushes along the back fence. 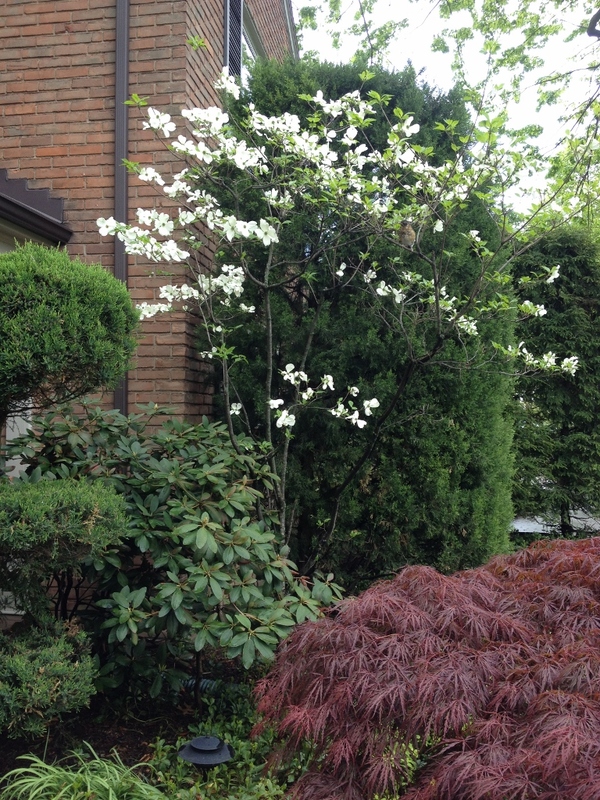 Our dogwood above the hot tub shouldn’t get much taller than this. 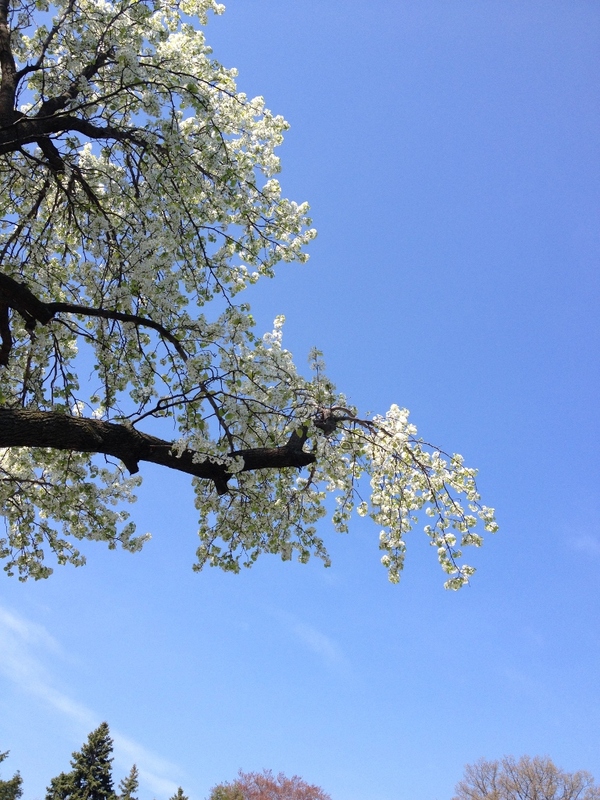 It has delicate white flowers in early Spring. 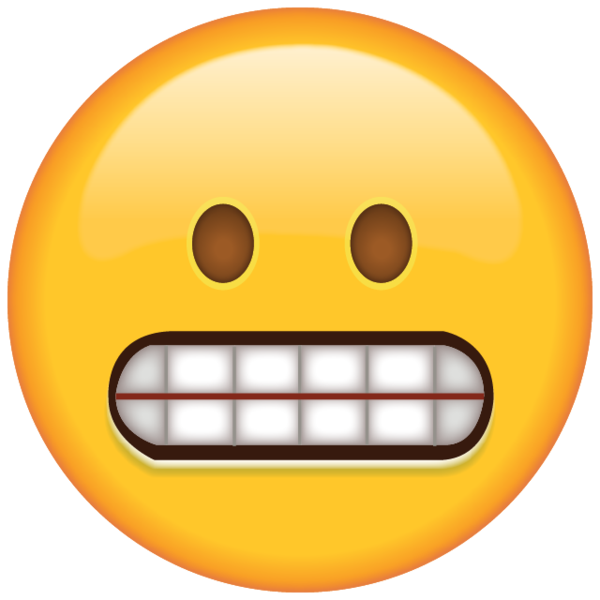 Mil came over one afternoon (and I’m so bummed I forgot to take a photo of her!) 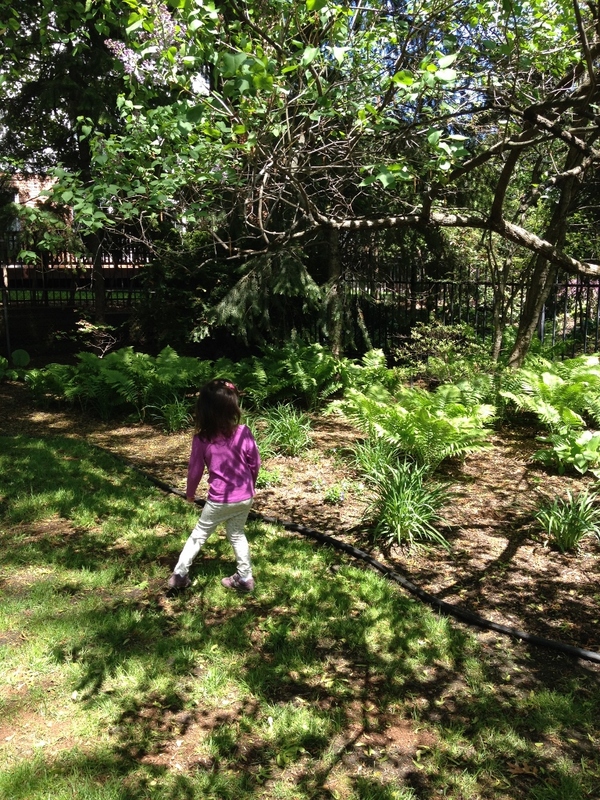 to assess our backyard and give us tips on pruning, upkeep and some ideas for new plants. She also gave names to the plants I was unfamiliar with. 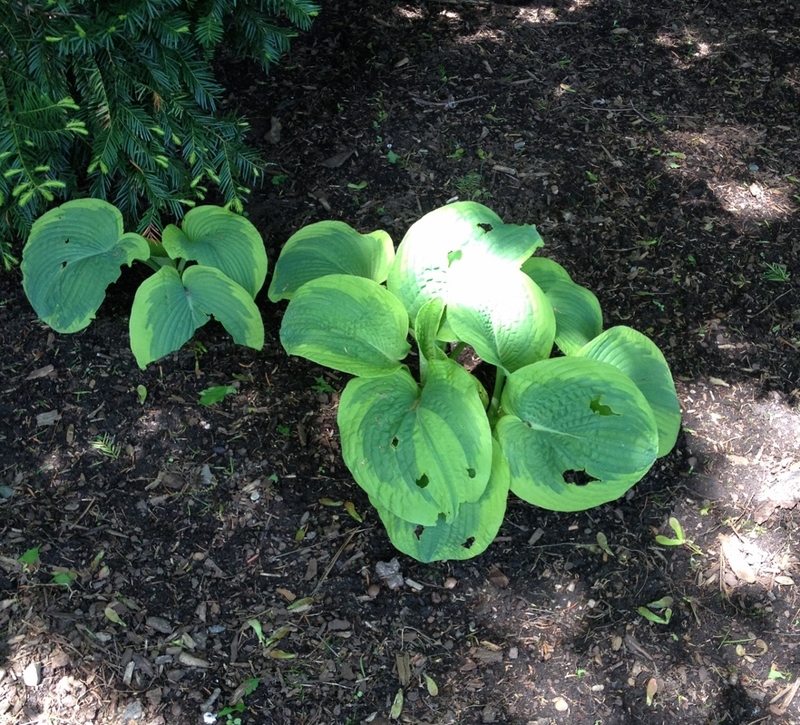 We have a several varieties of hastas, which are hearty perennials. Bunnies love them, however, so many of ours have holes in them. 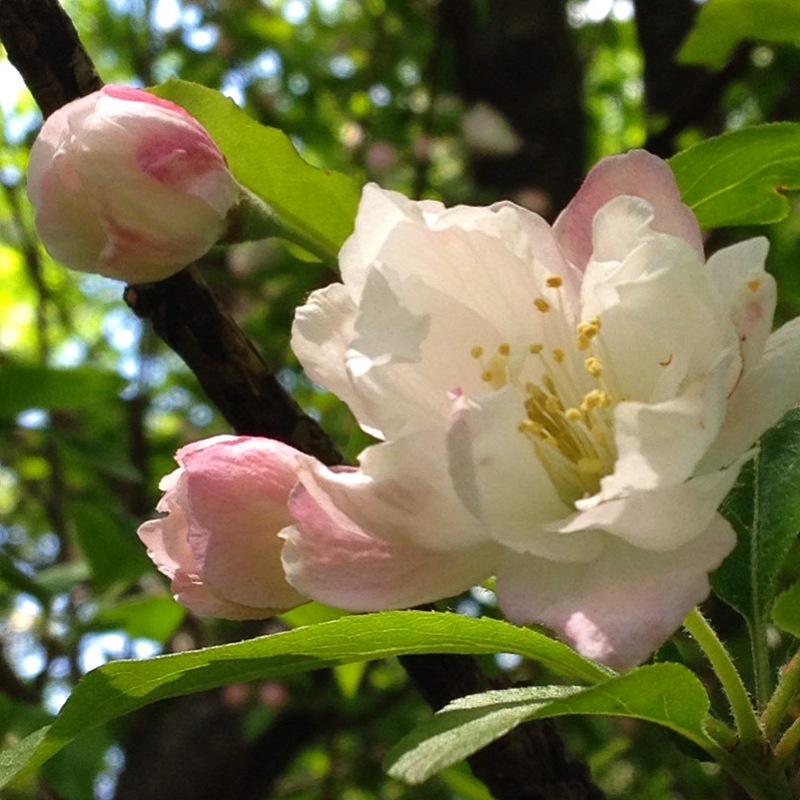 This blossoming tree that gave us beautiful light pink flowers is a crabapple. The blooms later turned white. 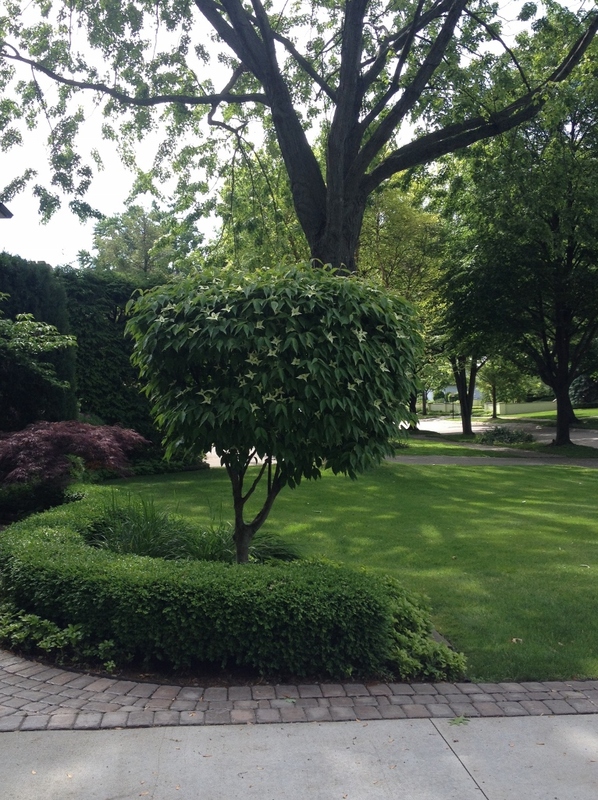 We have several small dogwood trees, one of which has been pruned, giving it a manicured look. I usually prefer the natural, wild look of plants, but I rather like the bushy quality of this particular tree. 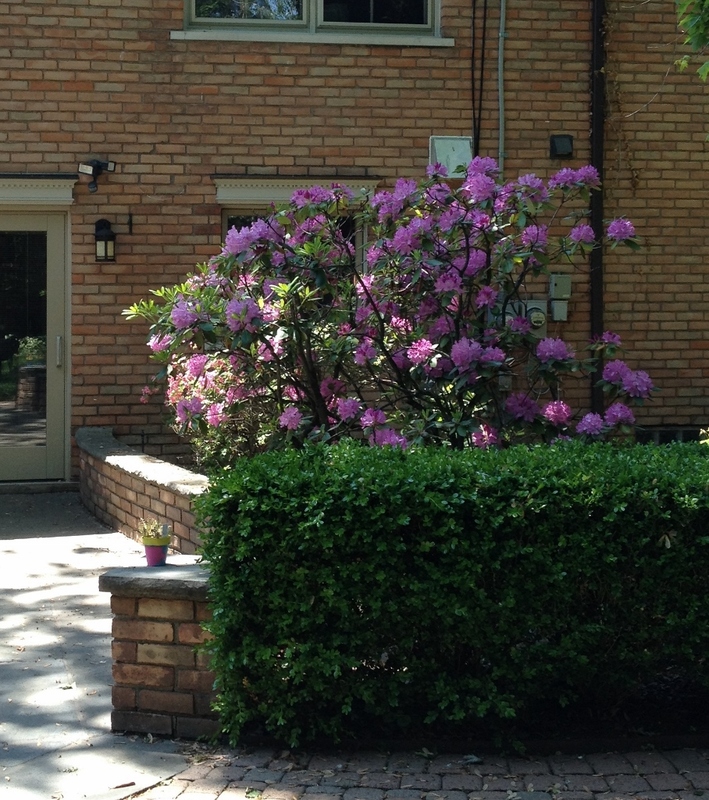 We also have a handful of flowering bushes. 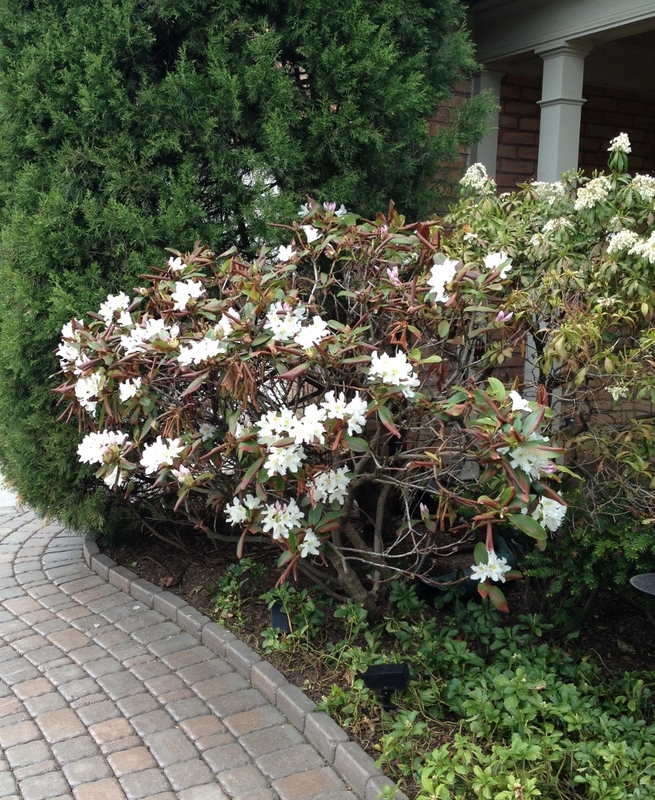 A few of them looked pretty scraggly, but they all bloomed and the azalea bushes (or are they rhododendrons, I forget) in the backyard were spectacular (I pretty much lopped them to bits a week or so ago, per the pruning info I read online. I am holding my breath. At the very least, I did not kill them, but we may have to wait two years for more blooms. Curses!). We have loads of ferns, which seem to attract mosquitos (our whole backyard is mosquito heaven, really) and other bugs, but we like the rugged look of them. 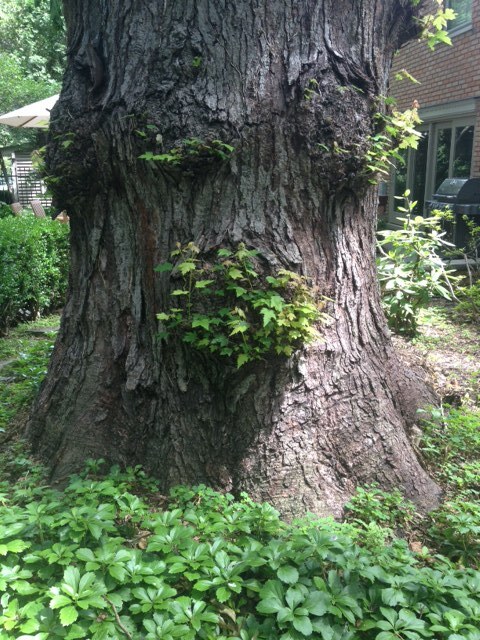 Ferns are apparently a very hearty plant that will come back (and spread) every year. 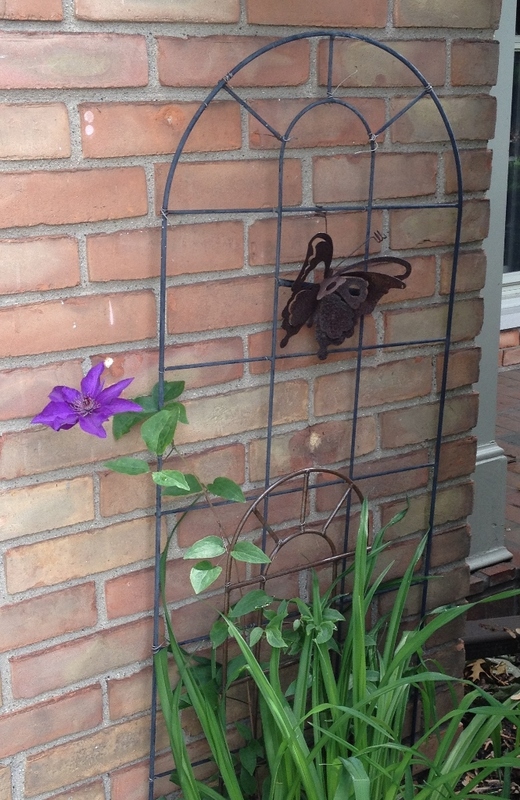 This little vine with a bright purple flower is called a …..oops. Forgot to write it down. I’m surprised I can even read the notes I did take from that day. Mil suggested that we have an arborist come once every three to five years to make sure our trees are healthy and to trim them (the trees here are sooooo tall!). The cost would be a few thousand dollars or so, but definitely worth it. She was suprised to see our birch tree, which she said is usually seen much further north. Most of the birch trees in this area came down with a disease, and you can’t always tell by looking at the tree that is is unwell. I love that tree and I would hate to see it come down. 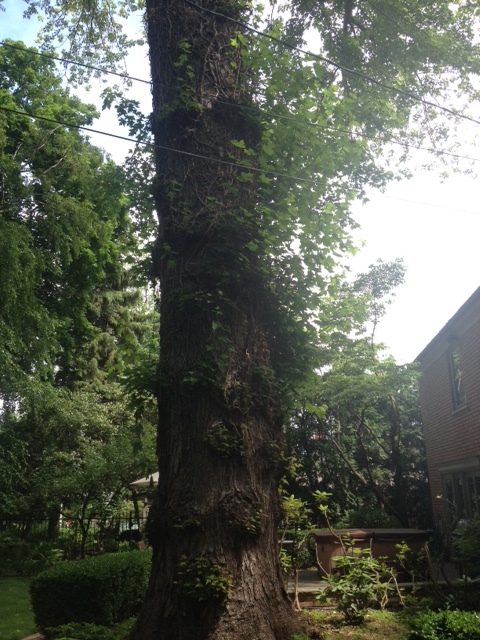 Our maple that sits in the middle of our yard is a behemoth. And there are a million shoots coming off of it. I’ve already cut off hundreds. I can’t keep up. 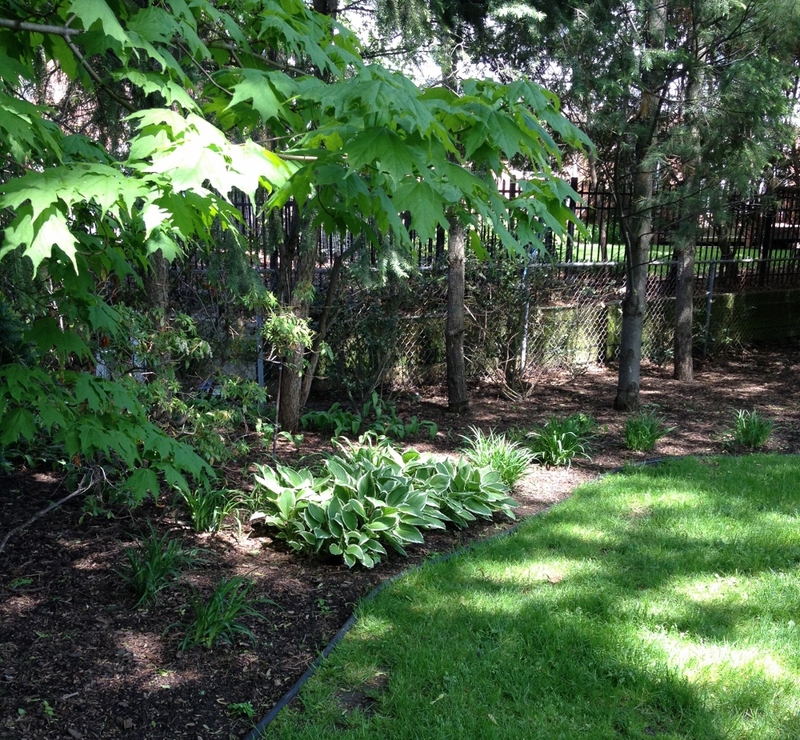 We have lots of ground cover plants, including pachysandra (shown around the maple), wintercreeper and some ivy. Had I known how many weeds we’d get without the ivy, I wouldn’t have pulled so much of it last Fall when we moved in. Ah well. We also have a rose of sharon, which was a surprise to me. 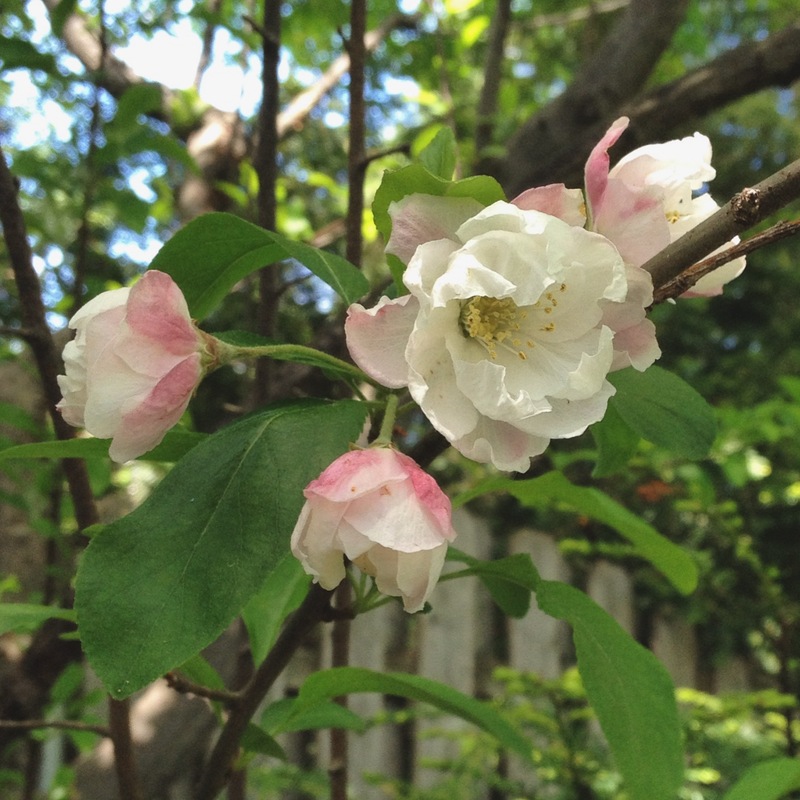 It is a late summer bloom that can be one of several different shades. It will be fun to see what color our flowers will be. It normally needs more light than it’s getting, so hopefully we can keep it alive and happy where it is. 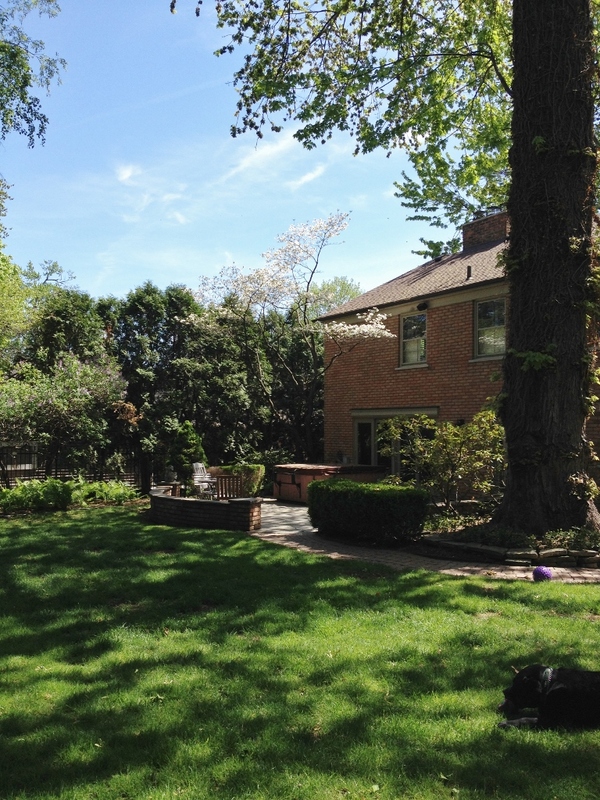 Having all of these great plants and a huge backyard is both overwhelming and exciting. I’m so glad we got expert advice. Mil suggested cutting plants a lot further back than I would have done on my own. I’m worry about chopping off too much and killing the plant (although I didn’t seem to have that worry when I went to town on my azaleas! ), but as she says, they will always grow back. We have our work cut out for us, but I’m grateful to have this responsibility. What kinds of plants do you have in your garden? 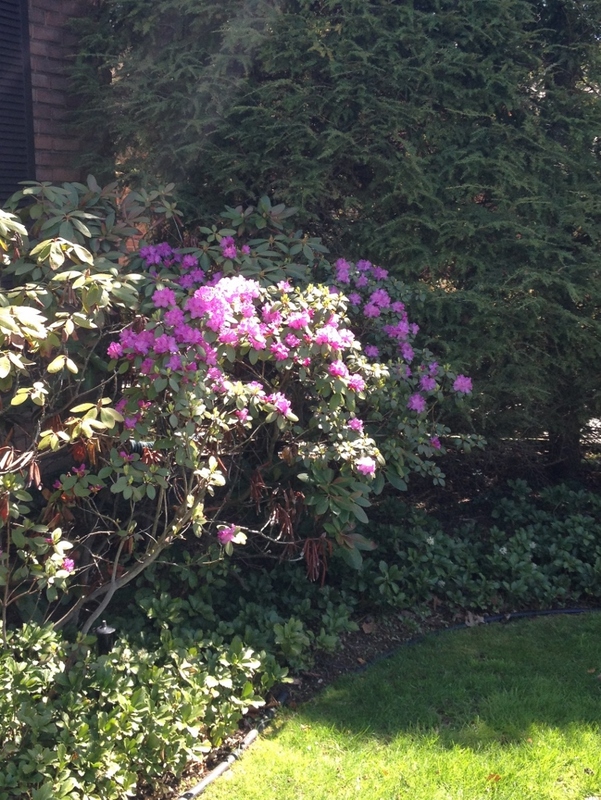 UPDATE: My friend Cindy texted me and told me that I got my azaleas and rhododendron’s mixed up. Oops. 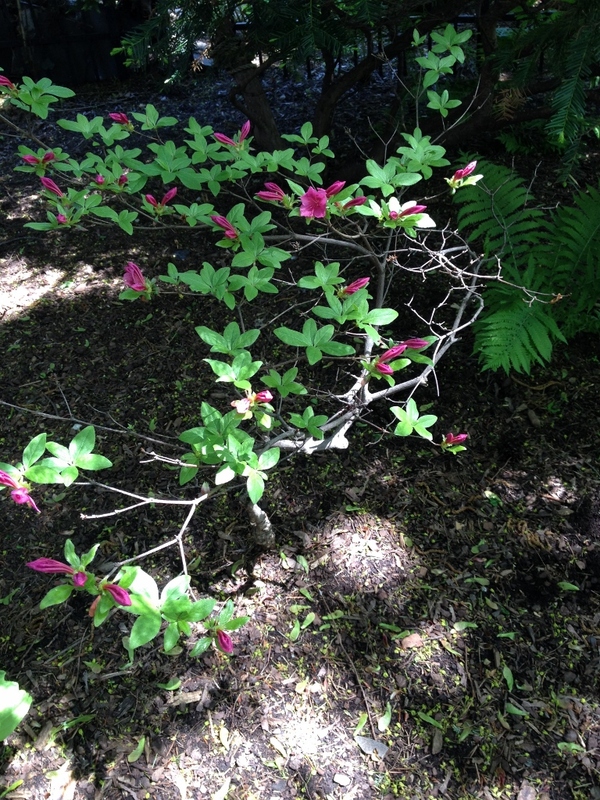 So…I think I butchered my rhododendron’s, then (although online sites do say you can cut them way back). She and my friend Mariana also told me the name of the purple flower on the vine: Clematis! Thanks, guys!